There is still time to register, arrange lodging, and book flights to Hong Kong and Guangzhou to attend the event. Even if travelers are not going to the Canton Fair but to anywhere in China, discounted deals still apply so check their site http://www.iflybusiness.com for more information. IFlyBusiness’ preferred airlines for flights to Asia such as Cathay Pacific, Eva Air, Asiana and Singapore Airlines are some of highest rated business class cabins in the industry for 2013. 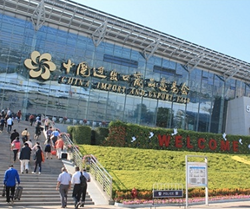 The Canton Fair in Guangzhou, China is the largest import and export fair in the world and is holding its one-hundred-and-fourteenth exhibit in three separate phases starting mid October. IFlyBusiness, based in San Bruno, California, is ready to serve Canton Fair attendees, offering the best deals in business and first class International flights to Hong Kong and Guangzhou. In fact, discounted business and first class flights are still available starting at less than three thousand dollars, depending on the airline. Reduced fares offered by IFlybusiness, include taxes and fees so there are no hidden costs. To check out sample fares, click directly on IFlyBusiness’ Flight Search tool http://www.iflybusiness.com/?action=search to enter travel details and an agent will respond with possible itinerary options in less than 24 hours. IFlyBusiness’ preferred airlines for flights to Asia such as Cathay Pacific, Eva Air, Asiana and Singapore Airlines are some of highest rated business class cabins in the industry for 2013. IFlyBusiness also offers consolidated fares so travelers get the maximum value and savings with the best airlines. The Canton Fair will span for less than three weeks beginning October 15th. The first phase of the fair lasts four days. Vendors will display the newest household and electronic devices such as home theaters and kitchen appliances. The second phase, beginning October 23rd, vendors feature consumer goods, and household items (such as pots and pans) as well as personal skin care and cosmetic products. In phase three, beginning October 31st, vendors display items ranging from textiles, medicines, food and sports products. For attendees who have not yet determined their travel plans, IFlyBusiness can also accommodate these last minute business and first class ticket needs for China travel. Greg Pavlovsky, CEO of IFlyBusiness comments, “There has been an increase in demand for discounted business and first class fares, since the price for economy tickets have soared. Being in the business for almost ten years, the travel industry has changed. People are willing to pay a bit more than economy flights for the extra perks.” Some of the perks in business and first class include, priority boarding, more leg room, recline-to-lie-flat seats, hot meals and on-demand entertainment. Pavlovsky further explains, “Options like these are what business and first class travelers need to feel rested and relaxed, especially when traveling over the water in long haul flights, to places like Hong Kong or Guangzhou.” This may explain a growing trend in why airlines such as KLM, Singapore, Qatar, Eva and American Airlines have reconfigured their new business class seats and increased the number of seats in their business class cabins. With this year’s Canton Fair shaping up to be one of their biggest and well-attended, organizers encourage anyone interested to make their arrangements now … It’s not too late! There is still time to register, arrange lodging, and book flights to Hong Kong and Guangzhou to attend the event. IFlyBusiness offers executive travelers the luxury of upgraded flight amenities without the inflated cost. How? Even if travelers are not going to the Canton Fair but to anywhere in China, discounted deals still apply so check their site http://www.iflybusiness.com for more information. For the best deals in extremely last minute business or fist class international travel booking, the quickest response is by calling their toll free number at at 1-800-807-9834; Australian residents may dial 1300-957-205. IFlyBusiness has contracts with most major airlines to ensure heavily discounted airfares for first and business class passengers. If you want to enjoy a comfortable flight for an economic airfare, give them a call toll-free today! Customer service consultants are standing by, 6 days a week, 8am-7pm PST. 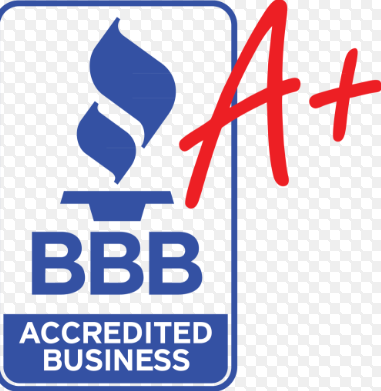 They are an accredited business and have been servicing the public for almost ten years.